A Most Wanted Man is based on master story-teller John le Carré’s worldwide bestselling book. 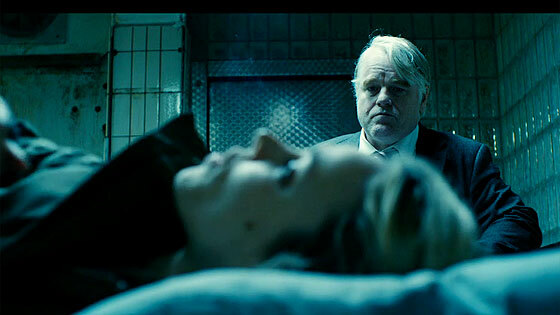 Anton Corbijn (The American) directs this modern day thriller with Academy Award-winning actor Philip Seymour Hoffman, Rachel McAdams, Robin Wright and two-time Academy Award nominee Willem Dafoe toplining an ensemble cast. Synopsis: Hamburg, Germany: 2012. A mysterious, tortured and near-dead half-Chechen, half-Russian man on the run (Grigoriy Dobrygin) arrives in the city’s Islamic community desperate for help and looking to recover his late Russian father’s ill-gotten fortune. Nothing about this young man seems to add up; is he a victim or a thief or, worse still, an extremist intent on destruction? Drawn into this web of intrigue are a banker (Dafoe) and a young female lawyer (McAdams) who is determined to defend the defenseless. All the while, they are being watched by the brilliant, roguish chief of a covert German spy unit (Hoffman), who fights to put the pieces together as the clock ticks. In an adrenaline laced and heart-rending escalation of tension and collision, it’s not long before he becomes everyone’s most wanted man. A Most Wanted Man, a cerebral tale of intrigue in the vein of Tinker Tailor Soldier Spy, is also contemporary and deeply human, touching themes in love, rivalry and politics we live with every day.